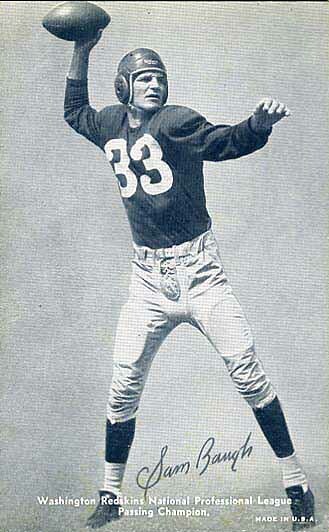 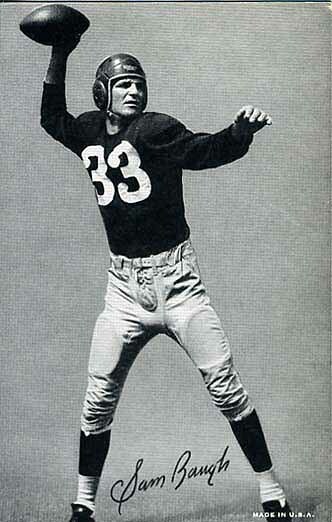 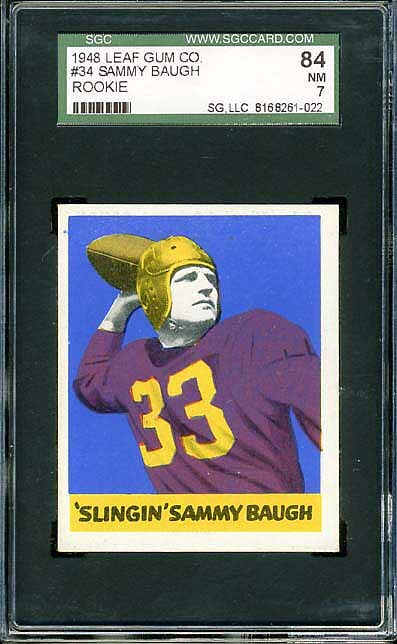 Sammy Baugh is the only Redskins to have his number (33) officially retired. 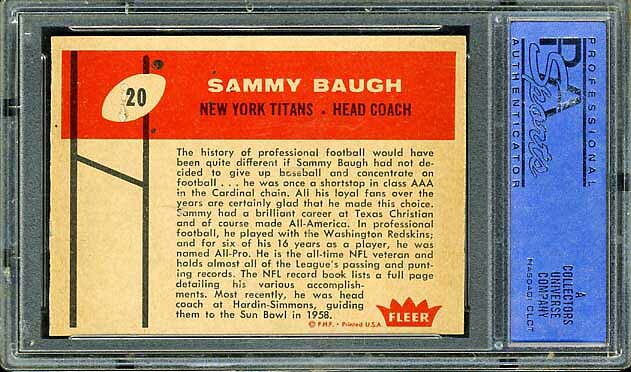 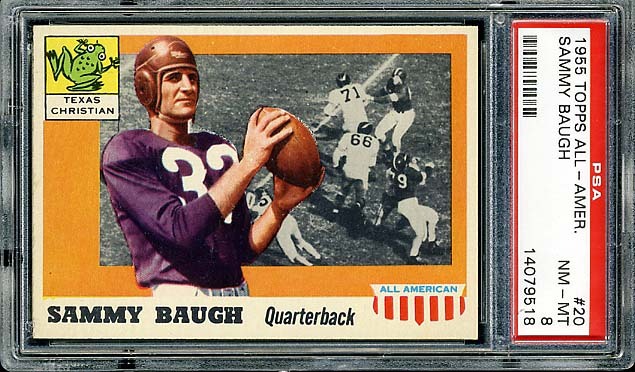 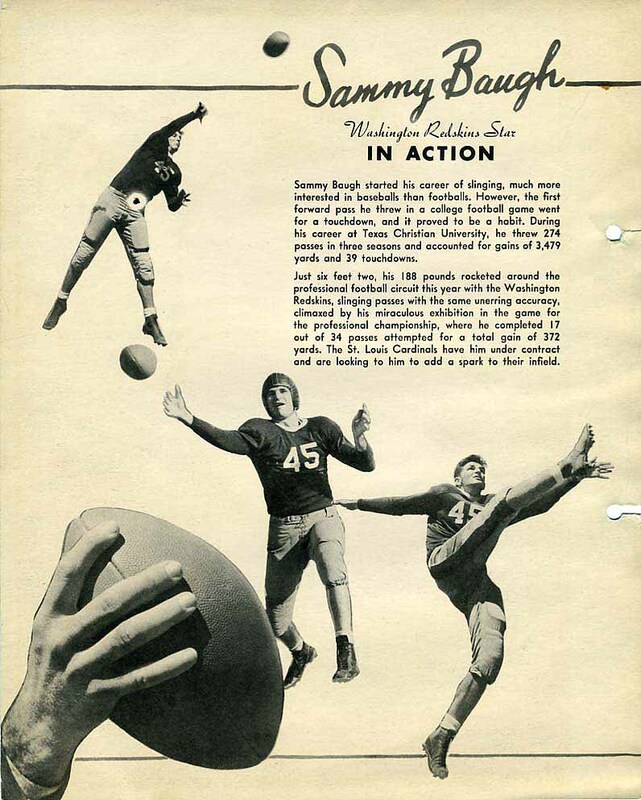 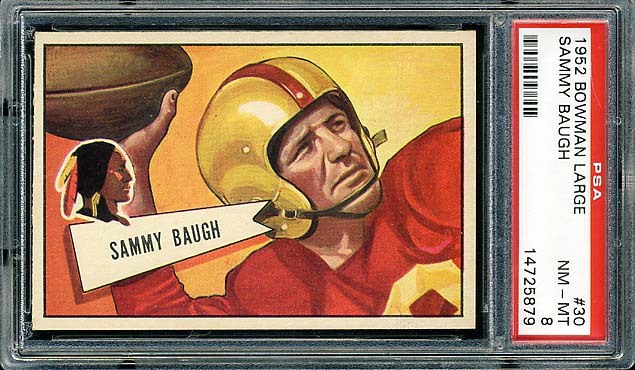 It can be argued that Baugh was the greatest all-around football player ever. 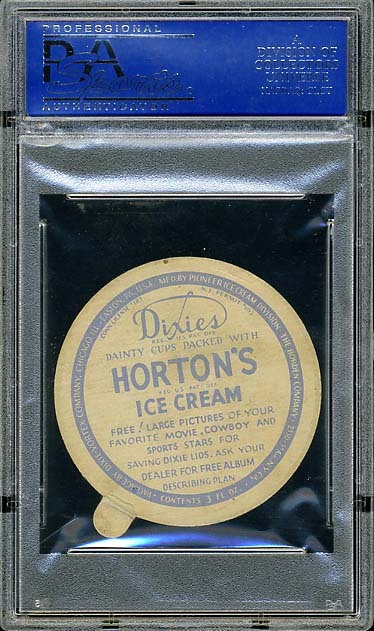 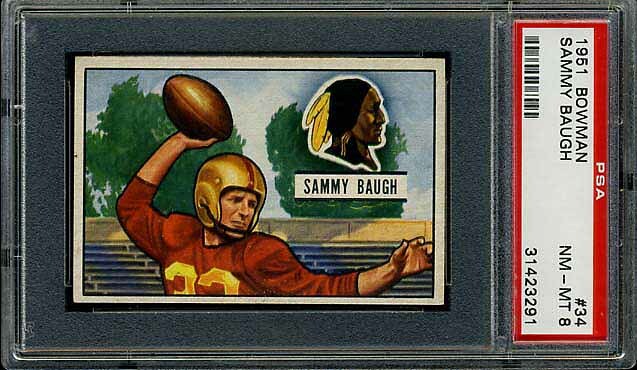 His Redskins football cards are a challenge for every Redskins collector. 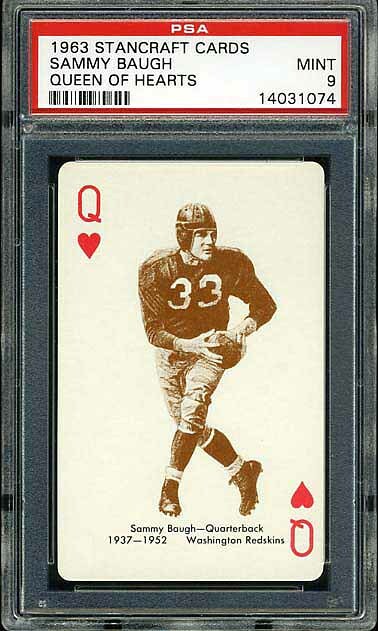 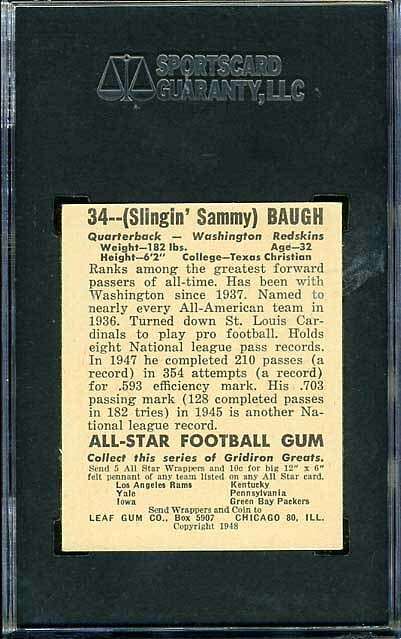 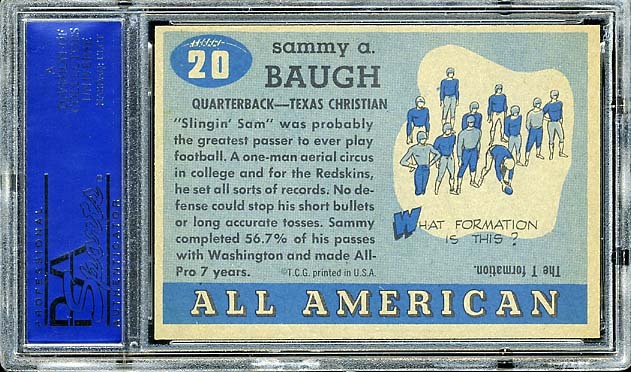 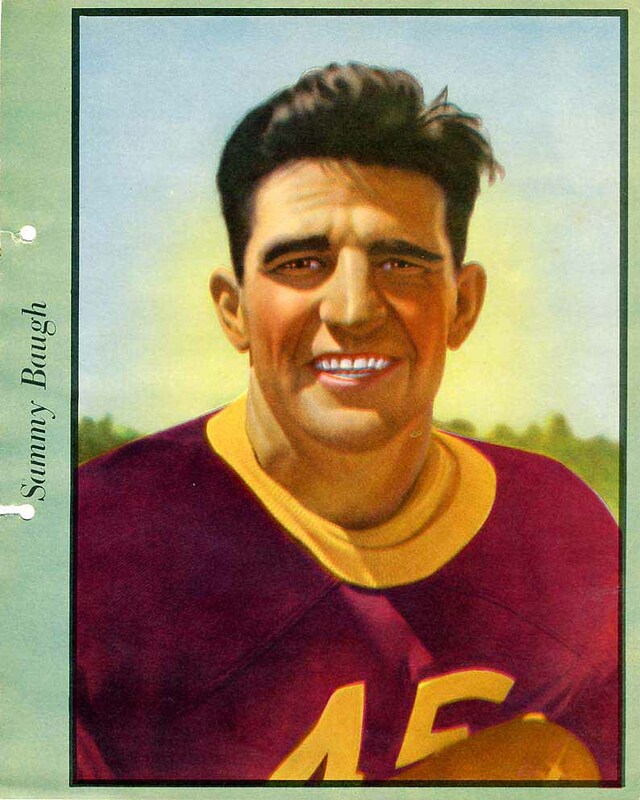 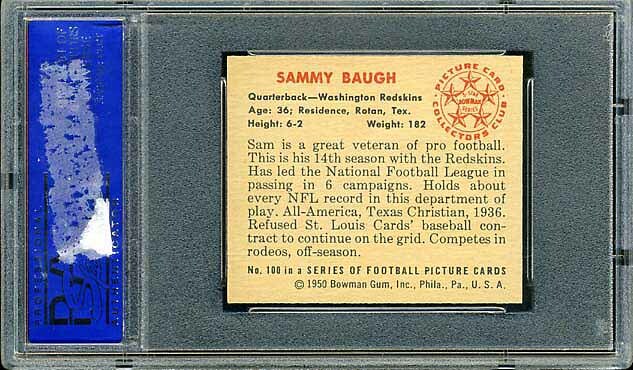 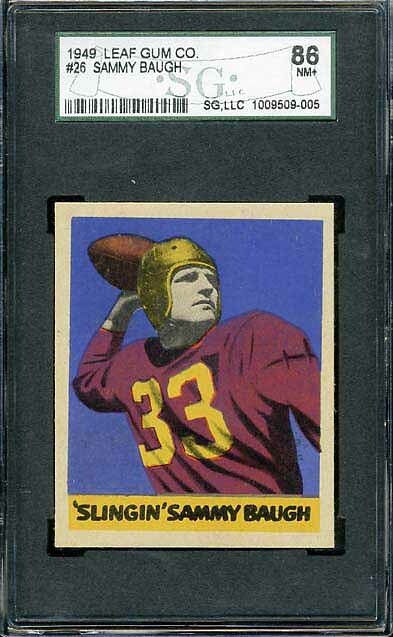 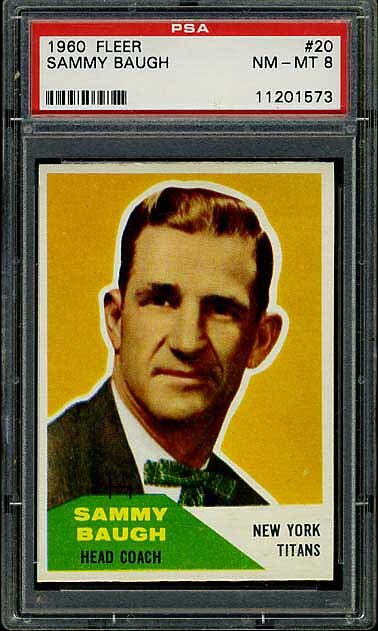 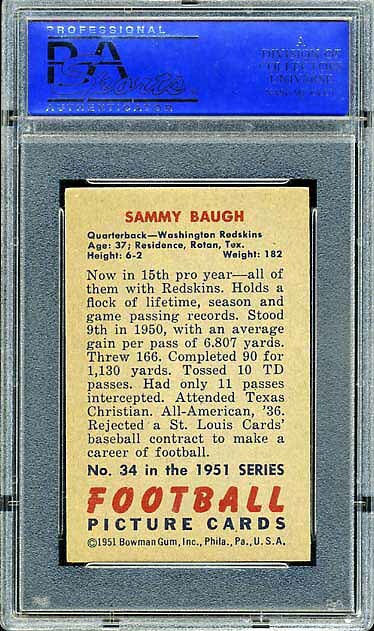 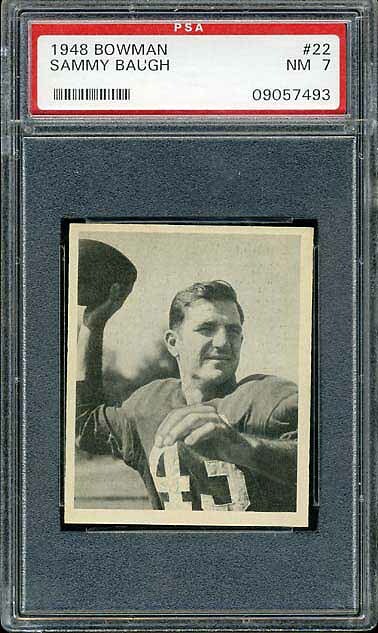 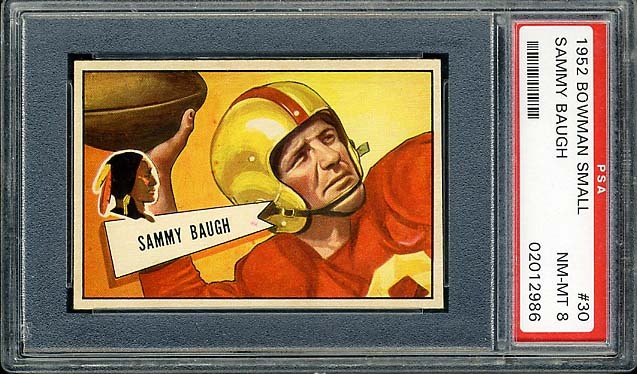 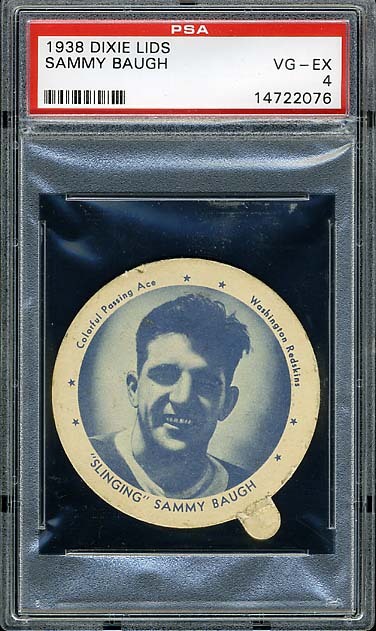 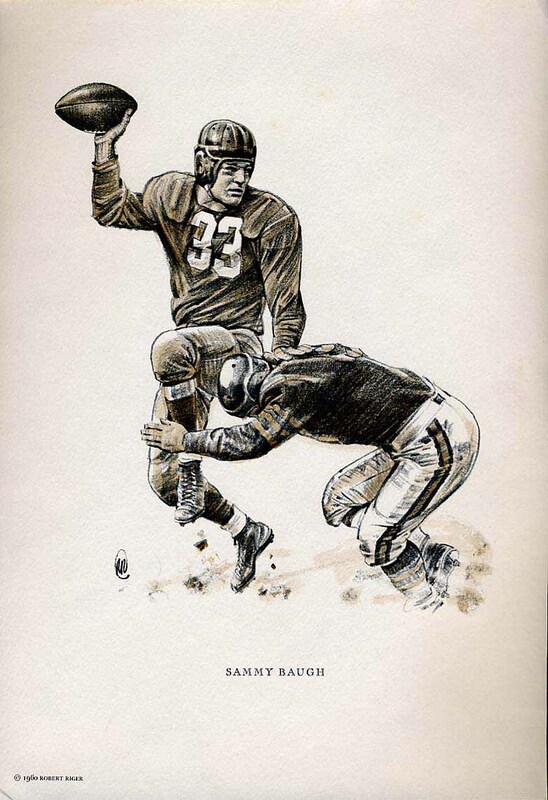 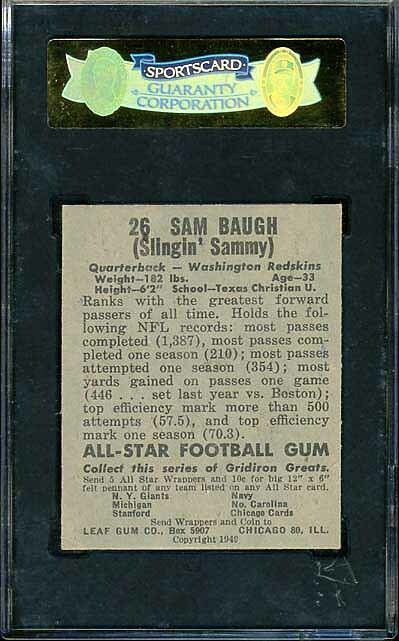 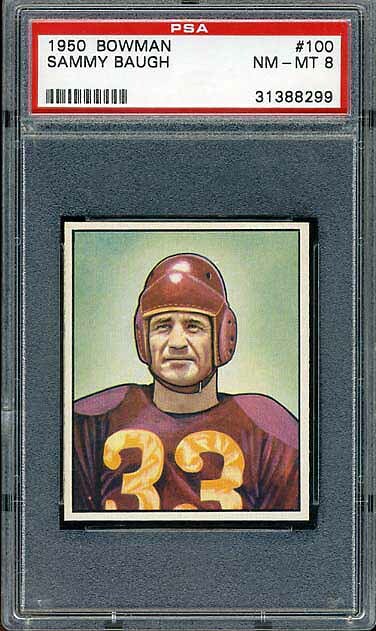 Below are all the vintage Redskins football cards I have of Sammy Baugh. 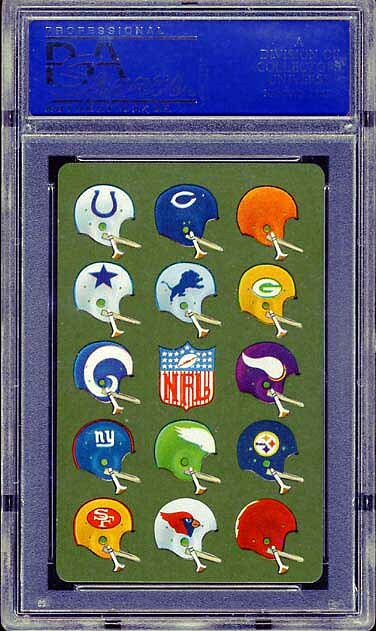 I look forward to filling in the missing pieces (Bread For Health, Gridiron Greats, etc.) 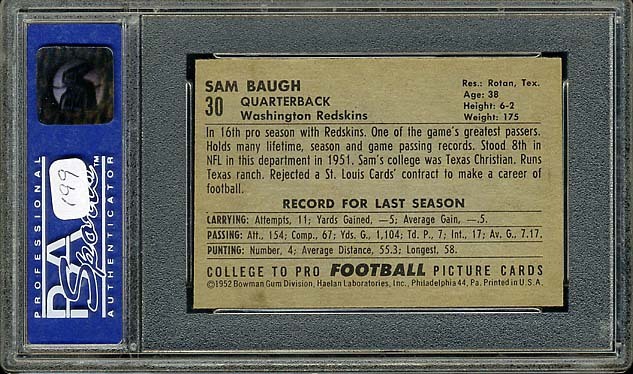 to this set. 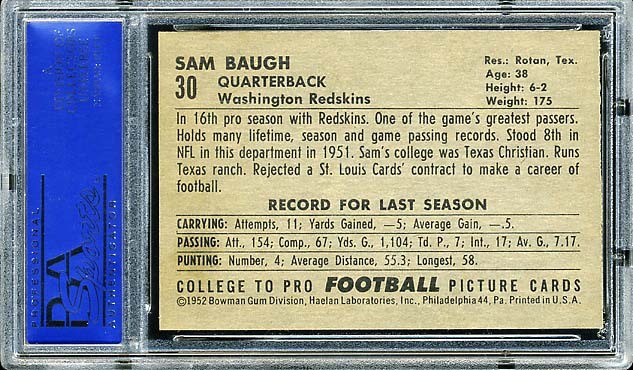 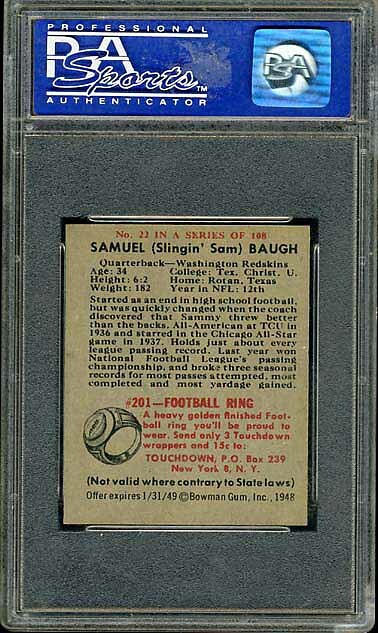 This set contains a high-grade version of all of Baugh’s major release cards.